At around the age of three (preschool age), young children begin to ask, “Why?” about nearly everything the adults around them discuss. The endless “why” questions can become unnerving and exhausting, but there are ways to manage the “why” phase in a way that actually promotes more stimulating conversations between you and your child. 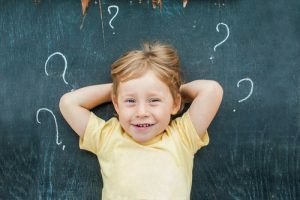 In this blog post, our childcare staff and preschool teachers at Child’s World Academy will explain how parents can navigate the “why” phase with their toddlers. Understand that “why” is not the question. Children don’t necessarily ask “why” because the want to know “why.” Many times, they are simply showing their interest in a topic and asking you to chat a little bit more about it with them. So when you tell your child that the oven is hot and they are not allowed to touch it, and they ask “why,” they are likely not asking you why it’s not okay to touch a hot oven. You can tell them that a hot oven will hurt them, but they probably want to know more about what is in the oven, how you like to use the oven, or you can maybe even chat about other things they cannot touch. When your child asks “why,” accept it as an invitation to have a conversation — after all, these are their curious, preschool learning years! Honesty is the best policy. When children ask for the answers to difficult questions, parents often have a very hard time figuring out just how to answer. This can be a tricky line to walk, but generally, remember this: you don’t need to tell the whole, unabridged truth, but try not to tell a lie. So, if a child asks a question about race, gender and sexuality, or a nuanced family issue, tell them what you think is appropriate for them, without covering it up with a lie. Encourage enthusiasm when you see it. If your child continuously asks “why” questions about a particular topic, they may be growing very interested in that topic, and you can become more proactive about talking about this subject with them. If they begin to ask a lot of questions about animals, think about buying them books and learning toys about animals, and remember to bring up the differences between animals you see or talk about the behaviors of animals you come across — and keep the conversation going. This will help them develop verbal skills and cultivate an existing interest in preschool activities that involve reading animal stories, doing animal coloring books, learning the alphabet with “A” for alligator, and so on and so forth. How have you handled “why” questions in your family? 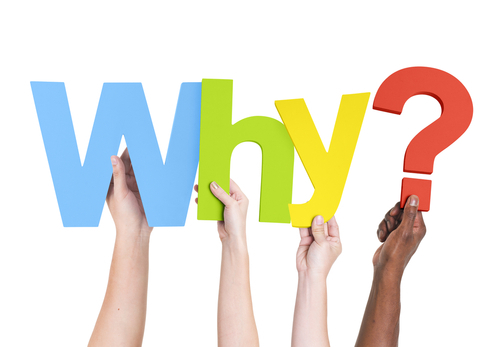 Have there been any “why” questions that have really stumped you? Tell us about it in the comments section below, and don’t hesitate to reach out to us if you are looking to enroll your child at our preschool or daycare center in Monroe!